I’m no Martha Stewart but I do enjoy making things & creating unique gifts. I’d seen this other idea in this kind of hippy-dippy homesteading book that I’ve been collecting and alternately buying into wholeheartedly and discrediting as being a handbook for crackpots. This one is a simple idea which has a lot of visual appeal–store you dried herbs in antique glass jars. Wait, I just realized that this isn’t one of those stories where everything goes awry & we have to improvise because of unforeseen circumstances. Crazy! I found some lovely antique jars at an estate sale–4 for $1. 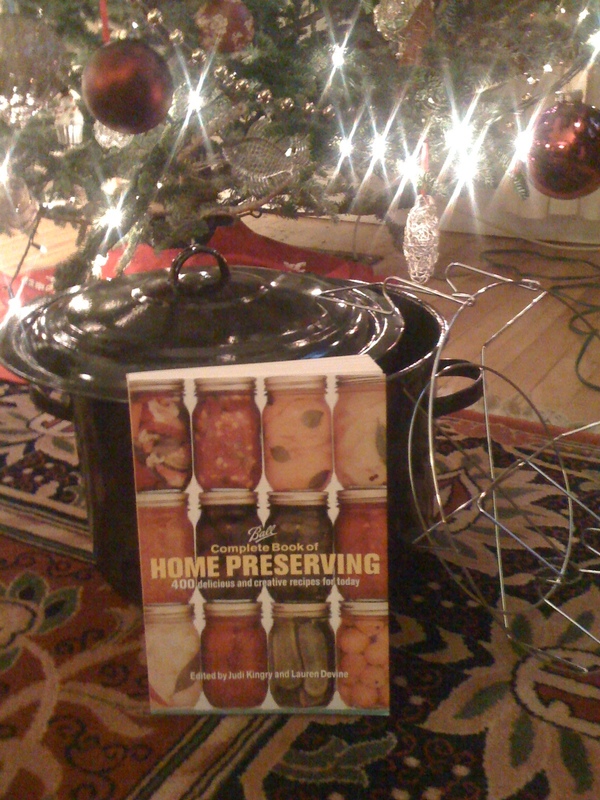 I later found the rubber rings to seal the jars at a local kitchen store and they even fit. 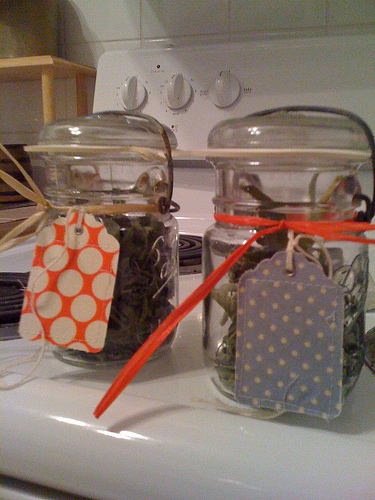 I dried the herbs in my closet for a month or so and when I needed to produce a little hostess gift I pulled the dried herbs off thier stems, collected them into the jars, decorated with raffia & adorable fabric tags acquired from a craft sale and done! Of course I am glossing over the fact that I left this project to the last minute & so was stuffing sage leaves into jars at like 10:30 at night while packing for a business trip & baking for the cookie exchange or some similar nonsense. I love the appeal of giving something homemade–it might be a bit kooky or be not quite perfect but there’s great satisfaction in proudly proffering something made by hand, with care and personal creativity.